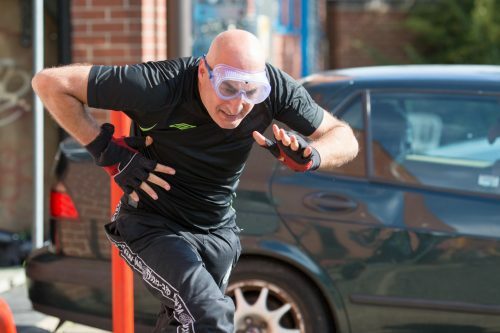 I started Krav Maga training at KMNG in 2011 and I’m still going. I was love from the first session. 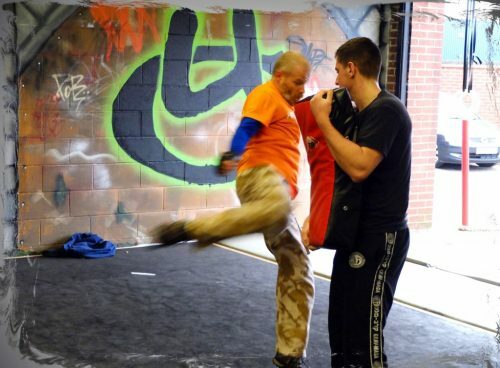 Krav Maga is the ultimate self-defence education which I recommend to all age groups. Better than any army unit. All done in a friendly and supportive environment. As a couple we have been training at the Nottingham Krav Maga club for 6 months. It’s been so good to improve our fitness. We can choose to train with each other during class or with other people. What we’ve found the most fun is that we can practice the things we learn outside of the club together! If you’ve been thinking about going, it’s best to just come along and experience a class for yourselves! I have trained with Dave at KMNG for a number of years now and have progressed from complete novice in Krav Maga to a more senior level. The instruction at KMNG is second to none. The classes are highly engaging both on a mental and physical level but yet at the same time cater for all abilities and levels. This has been a highly rewarding experience on a personal level and would recommend KMNG to anyone that wants to gain practical skills and insight invaluable to keeping themselves safe in our modern world.